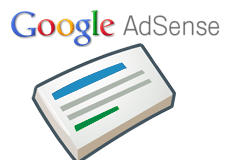 Google announced they have updated the Google AdSense terms and conditions. Google did not link to the terms and conditions that are being updated but did pull out the two major changes to the legal agreement. They did also note they have "made smaller changes throughout" the document, so review it before you agree to it. But you will have to agree to it 30 days after the terms go live on April 23rd. If you don't, well, find another ad program to use on your site. With this new version of the Terms and Conditions, our goal has been to make them as clear and transparent as possible. As a result of this, we hope that it'll be even easier to navigate and find what you're looking for. With mobile being one of the big trends in 2013 and beyond, we're expanding our Terms to cover mobile properties more specifically. We've also incorporated guidelines for using the AdMob SDK and other publisher products. Some publishers seem concerned with the new terms but Google does this every now and then. People complain and then forget about it.